The overwhelming response of my last post kindled me to pen the follow up. I got multitudes of thoughts from my fellow readers towards my contemplation about the invisible matter named God. Few were quite impressive but still not ample to convert me back to theist from the agnostic bracket. Recently, I have come across an interesting post in Facebook about Einstein’s ideological thought about God when he was in a school. 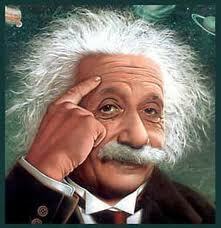 He debated with his teacher that whether man could see electricity, heat or any other energy forms? Though they are intangible, we believe that they exist because of the realisation of their utilities. Similarly, God is someone who should be felt rather seen. A man who sourced many scientific theories and derived many tremendous inventions had this rational thought about God in him. I don’t even deserve to negate to his ideology. But, on the other hand, thankfully, I believe that he bolstered my thought. According to this gentleman who had extraordinary neurons more than the hairs in his head, we could only feel the existence of God. Of course, if there exists someone who could never be seen, what makes the people to impart shape, colour, attire, power and everything to him according to their comforts and convenience? They have groomed this iconic God regionally however they needed him. On considering this fact, I feel Islam is quite an aberrant way. It never encouraged the worship of god with any identity. But, noetically, God is someone who resides in ourselves. His existence could be termed as “Self-Belief”. Unless we start believing ourselves, we could not start thinking analytically towards our virtually imbibed life. So, as Einstein says, first feel the god in you. Exploring him outside comes in the later part of realisation. But, traditionally, we are cultured to practice it in the reverse way. Another interesting response for my previous post says that man is a bundle of energy which could neither be created and nor be destroyed. Only transformation happens from one creature to another. Creator, preserver and destroyer are responsible for the above obligations. The billion euro question is the mystery behind the creator, preserver and eventually the destroyer. Who are those? Whether there are three or only one? Whether they are really intangible and invisible? I would request all the fellow scientists and researchers with insured brains to figure out this fallacy and the enigma so as to open the rationality of us bit wider. Fortunately, our ancestors wanted to frame set of principles and disciplines for the forthcoming generations so as to transform the livelihood of the humans more civilised from being faunal and insane. So, they wanted to create a fear among the people in the form of God and practices in the form of religion so as to incorporate command over their lives to prevent them to get deviated towards immorality. This transformation happened at various parts of the world at various point of times which actually has given birth to multiple religions, rituals and deities. Only strongly positioned religions survive till today. Hope with the scale of advancement in rationality and maturity, we should start mining these thoughts and have to elucidate our practices with reasons. Until then, the hunt for the realisation would persist for anyone with mortal ideologies. Thinking beyond this scope or comfort zone is something which might not be a thing to be bothered for many. But, an itching thing for few. Unfortunately, I am falling under the latter category. So, intense reasoning is hindering me these days whenever I used to do something which I have been doing from day one of my life without reasoning. Hunger for realisation to be continued…. !